Materiality is the principle of defining the social and environmental topics that matter most to your business and your stakeholders. Some 80 percent of the world's largest 250 companies already identify material sustainability issues in their reporting. 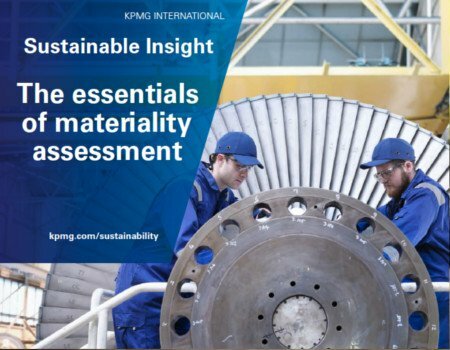 This paper by KPMG aims to help companies by providing guidance on the materiality assessment process in the light of recent developments in reporting requirements and advice on overcoming common challenges.